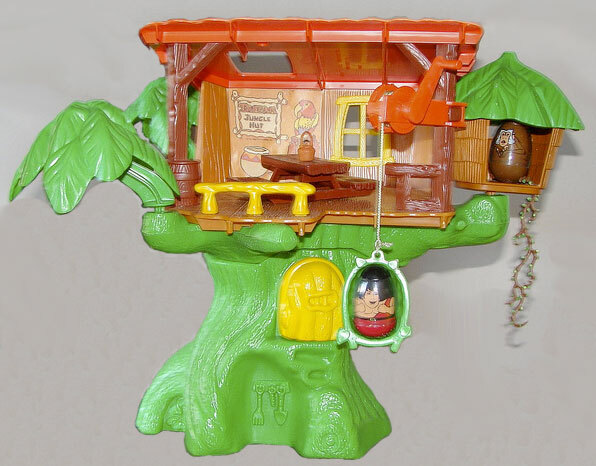 Description: Orange crane arm (attaches to one front post on the treehouse) with a green "basket" attached via rope. Turn the crane crank to lift and lower the basket. Description: Orange crane arm (attaches to one front post on the hunny tree) with a WHITE "basket" attached via rope. Turn the crane crank to lift and lower the basket. 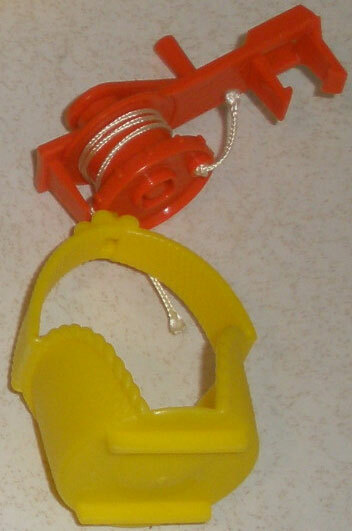 Description: Orange crane arm (attaches to one front post on the treehouse) with a orange crank handle on the side. 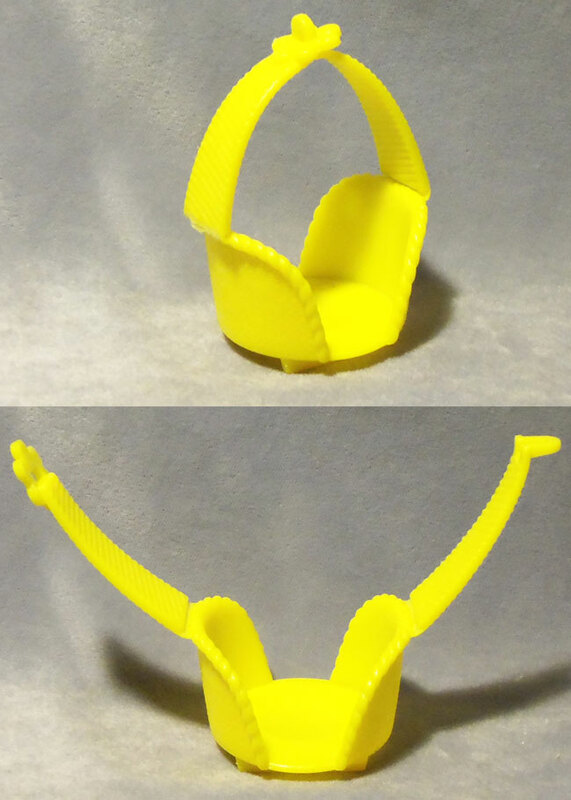 Description: Yellow basket with 2 upright flexible arms on top. The arms connect to form a loop above the basket. 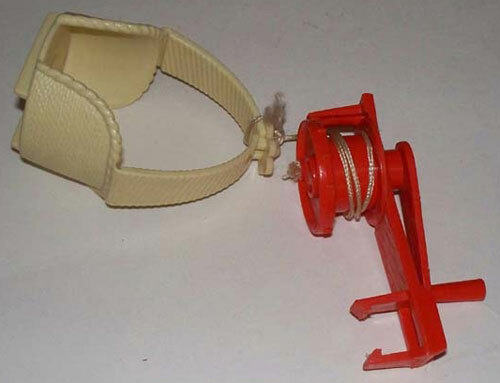 When arms are connected, a string fits through a small loop on the top to attach to the HTW245 orange crane arm.